Hight Quality Beard Scissors made in Solingen. Satin stainless steel scissors from Solingen for professional use. Solingen is famous for the quality of its knives, blades and scissors worldwide and is valued by a variety of enthusiastic and loyal customers for centuries. Very comfortable handling because of the ergonomic auxiliary hook and the absorbing spacer between the finger holes. The scissors is especially sharp because the blades are honed in the hollow ground. 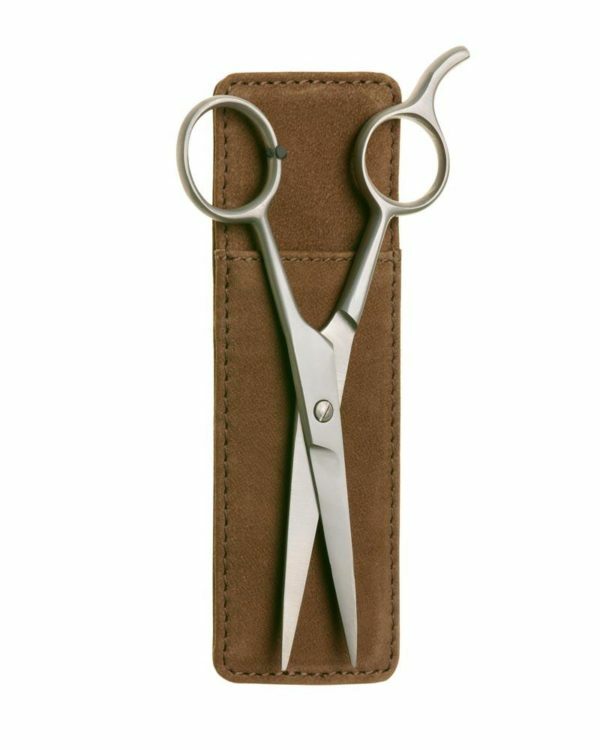 Every scissors is controlled individually and is manually adjusted (adjustment screw) before it leaves the factory.The scissors is delivered in a real leather case.